Investor and philanthropist George Soros has moved $18 billion to his foundation -- the majority of his estimated $24.6 billion fortune. The Open Society Foundations, which seeks to promote democracy around the globe, confirmed the massive donation on Tuesday. A foundation official told CNNMoney in an emailed statement the move "reflects an ongoing process of asset transfer that has been underway for several years." The Wall Street Journal first reported the transfer of the funds. The Open Society Foundations has outposts in more than 100 countries, according to the organization's website. It has worked to combat authoritarianism, promote human rights, and support "marginalized" groups -- including refugees, the LGBT community, and minorities. Soros, 87, "plans to leave the vast majority of his wealth to the Open Society Foundations," the official said. The foundation has spent about $14 billion since the 1980s, according to spokesperson Laura Silber. She said its current value is $18 billion, potentially making it larger than the Ford Foundation and the second-largest charity behind tech billionaire Bill Gates's foundation, based on figures from the National Philanthropic Trust. Related: Why is Hungary waging a campaign against George Soros? Soros is a prominent donor to U.S. Democrats and liberal causes, and he's been an outspoken critic of President Donald Trump. In the months since he was elected, Open Society Foundations has spotlighted its efforts to aid victims of hate crimes, saying hate has been given a "new platform" under Trump. Soros, who is Jewish, fled Hungary for Britain in the 1940s to escape Nazi occupation. His family later immigrated to the United States where Soros became one of the most successful investors in the world. He has been heavily involved in philanthropic efforts for decades. Including his most recent donations, he's donated more than $30 billion to various causes. 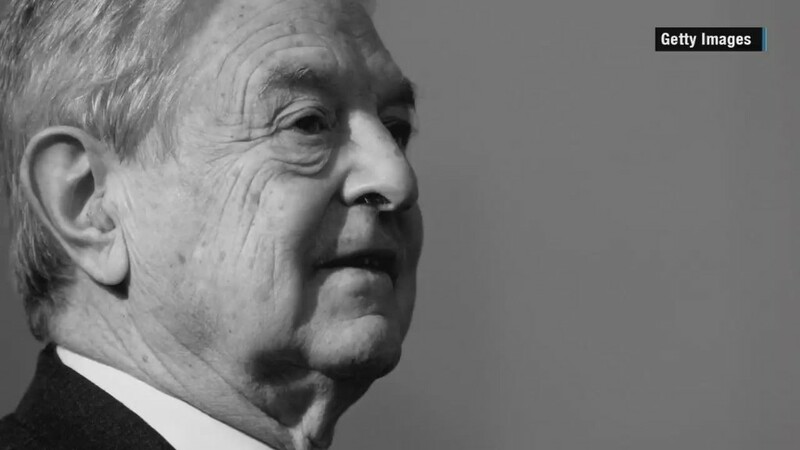 Earlier this year, Soros, who is chairman of the Open Society Foundations, came under fire from officials in his home country of Hungary, which is currently controlled by a nationalist political party. A campaign that included billboards and posters sought to vilify Soros and his support for refugees, accusing the billionaire of using foreign funds to influence local politics and immigration policy. Hungary's foreign affairs minister, Peter Szijjarto, even called Soros a "national security risk" in a July statement. Israeli's foreign ministry in July accused Soros of working to "continuously undermine Israel's democratically elected governments by funding organizations that defame the Jewish state and seek to deny it the right to defend itself." A spokesman for Soros said at the time that Soros's views had been "consistently and willfully misrepresented."